Comments: The quickest starfighter deployed by any organization during the galactic civil war, the engines of the A-Wing were so powerful that only the most skilled Rebel pilots were able to take full advantage of the speed they geenrated. Faster and more maneuverable than even the TIE Interceptor, this vehicle was a deciding influence on many of the later battles in the war, including the Battle of Endor. 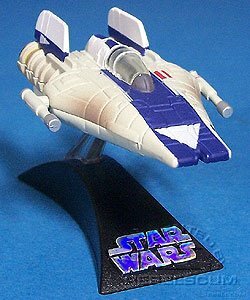 This A-Wing Fighter is a repaint of the 2005 version. 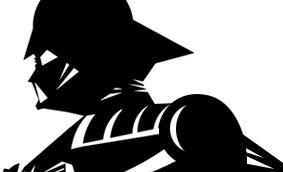 The color scheme comes from the old role-playing game.